With the exception of gold, metal jewelry will naturally tarnish or patina over time. This is completely natural and harmless. 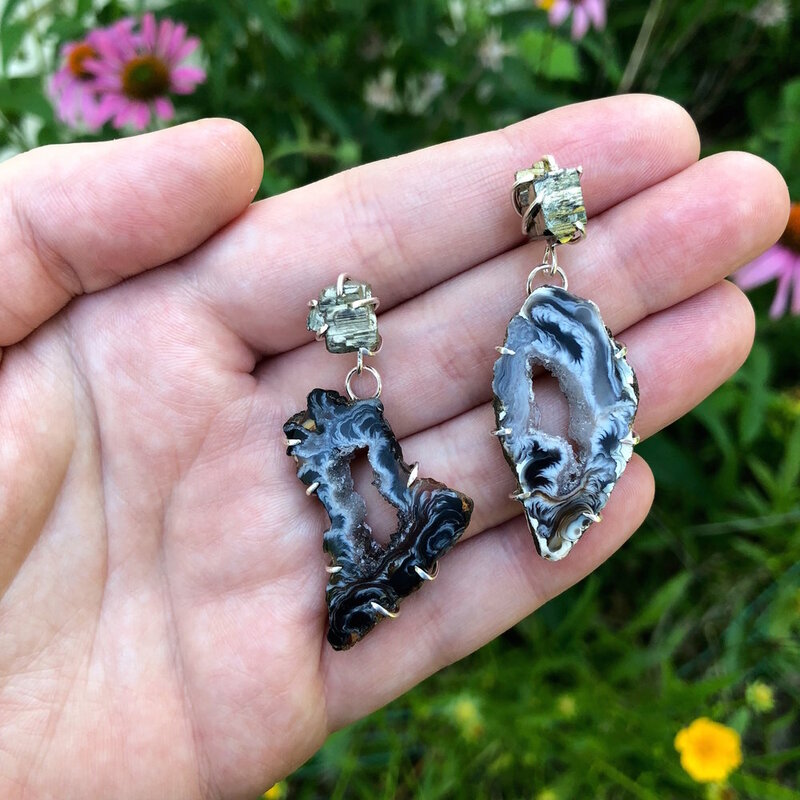 Some customers like the natural look of “aged” metal but if you prefer your sterling silver and brass shiny and new, keep your LB jewels clean is a breeze. Store jewelry in an airtight container, away from excess moisture. Clean jewelry regularly with a cleaning product specifically made for metal jewelry or one of the natural, DIY methods below. To keep jewelry safe from breaking, avoiding wearing while showering, swimming, or while doing any other strenuous activity. In order to limit toxic chemical usage within my products, Lauren Brook jewelry is not coated with tarnish or patina prevention unless specified otherwise. Try using one of these natural jewelry cleaning methods to polish and shine your LB pieces. You probably already have the supplies at home! Sterling Silver: Use a teaspoon or so of regular baking soda and mix with a few drops of water to form a paste. Gently buff your silver piece clean using your fingers and then rinse well and pat dry. If your silver piece has gemstones, simply polish around them avoiding the stone. The stones I use in my pieces will not be harmed by occasional baking soda cleaning method. Ironically, the more you wear your sterling silver pieces, the less likely the are to tarnish so wearing daily is encouraged! Brass: Brass can also be cleaned using the above silver method but if you come to any especially hard to remove spots, try white vinegar. Simply place your brass piece in a shallow dish and fill with regular white vinegar, covering the piece completely. Let sit for 5-10 minutes increments until clean. Rise and pat dry.